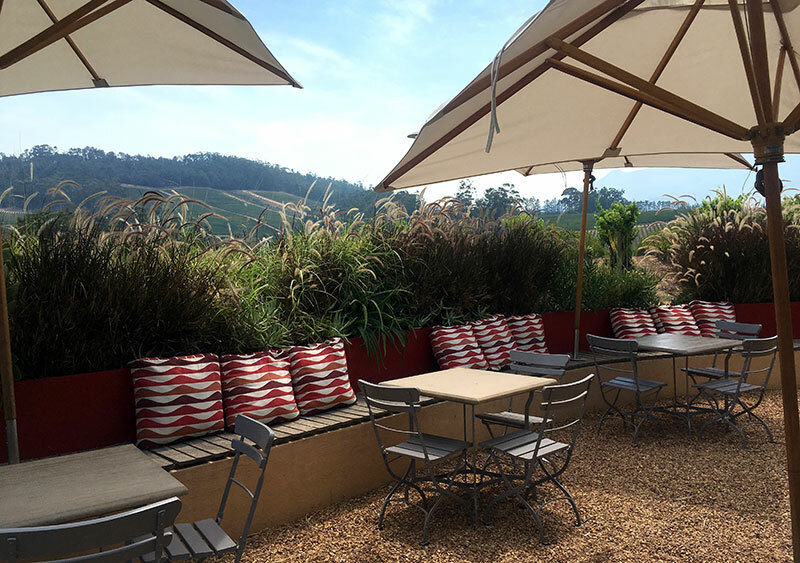 On the edge of Stellenbosch there lies a little piece of France. Well, actually more like a little piece of heaven in my view. 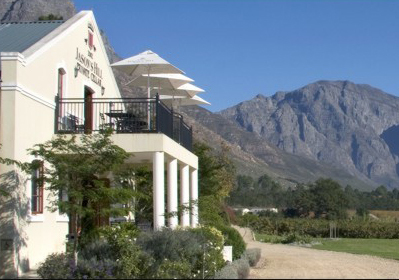 I am of course talking of Glenelly Wine Estate. I often get wonderful opportunities to taste wines and foods that are exceptional. 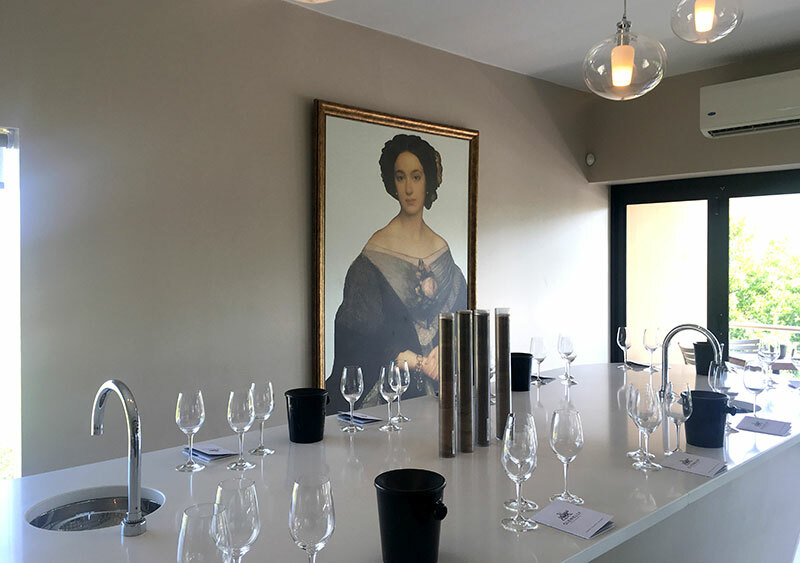 My recent invite to Glenelly to taste their newly-released 2013 Estate Reserve and flagship Lady May was no exception. I am of course familiar with their wines, but this would be my first visit to the estate. The story of Glenelly is an extraordinary one – one of courage, imagination and bucket-loads of just plain old chutzpah. Because that’s what it takes to buy a piece of land at the age of 78, rip up fruit trees and plant vines with the aim of making wine when those vines eventually start bearing fruit good enough do something decent with. The wine biz is not for sissies people and it’s a long game. 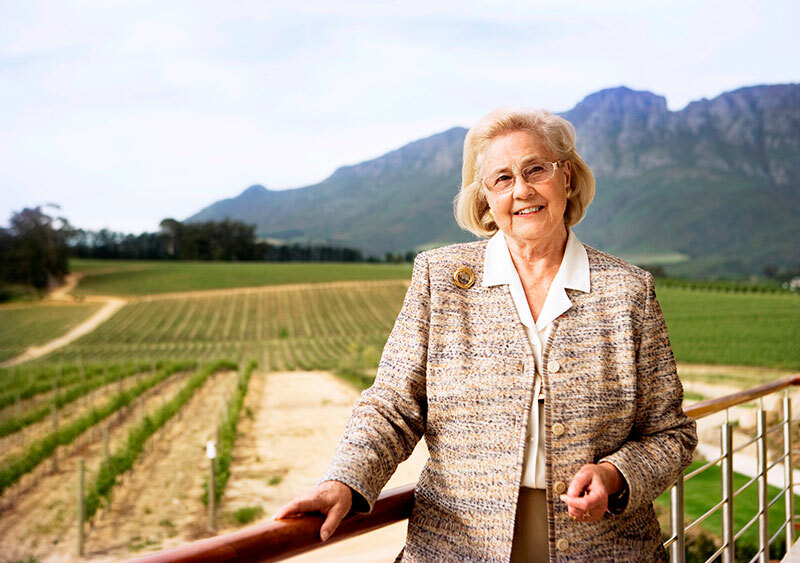 Which is what makes Madame May de Lencquesaing such a wine world rock star. I’m pretty sure at 78 I’ll be sitting on some retirement home stoep, wondering if the dinner hall will be serving macaroni again because it’s Tuesday. None of that for Madame de Lencquesaing! 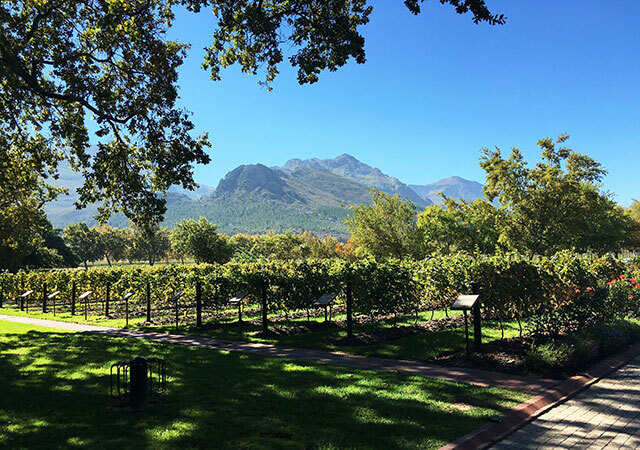 Her first visit to Stellenbosch convinced her that she had finally found a place where she could fulfill her dreams of starting a wine venture outside France. In 2003, while she still owed the famous Chateau Pichon Longueville Comtesse de Lalande, she finally settled on a little corner of the Idas Valley and Glenelly was born. 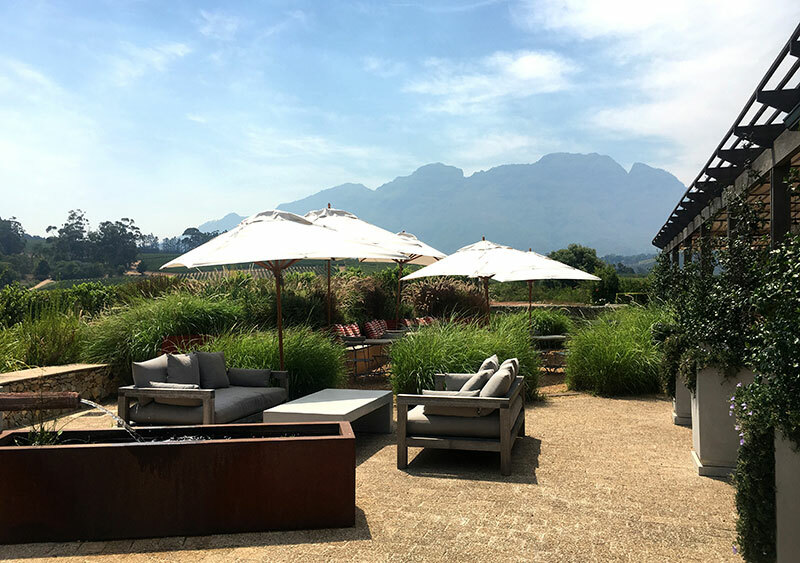 Gallic inspiration: The French heritage of Glenelly is evident everywhere – from the Paris bistro chairs and gorgeous French-inspired menu in their lovely restaurant, to the über elegant yet welcoming outside seating area with panoramic views over the vineyards. 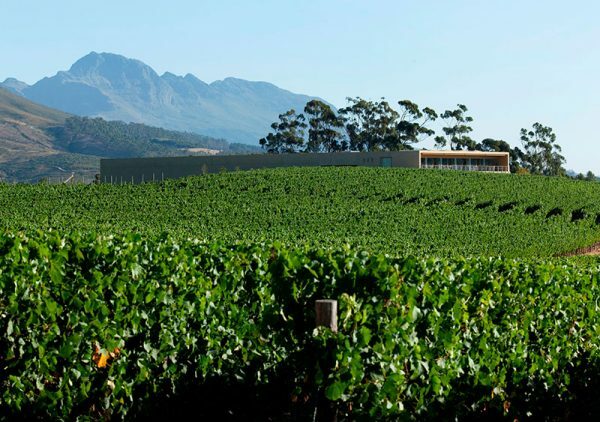 2009 saw the completion of the 6000 square metre main building, housing one of the most modern wineries on the continent. 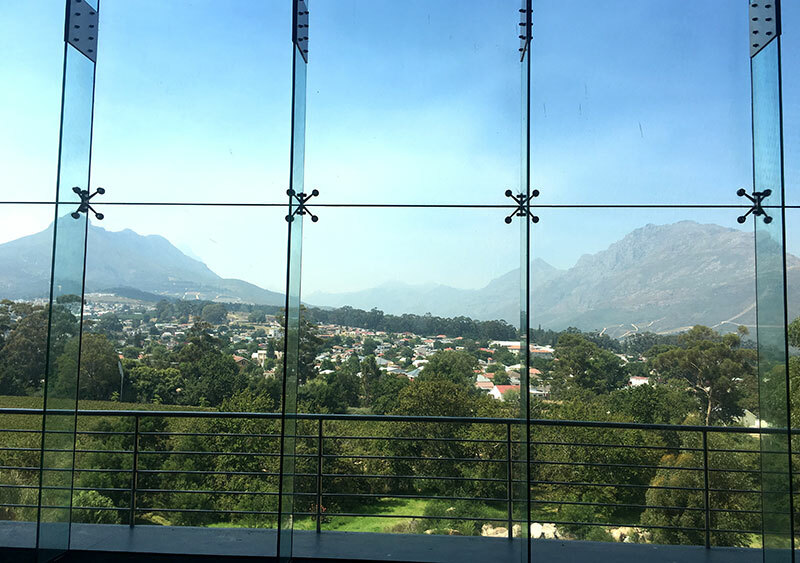 The folks at Glenelly have gone to astonishing lengths to leverage nature to keep their building and operational footprint as green as possible. 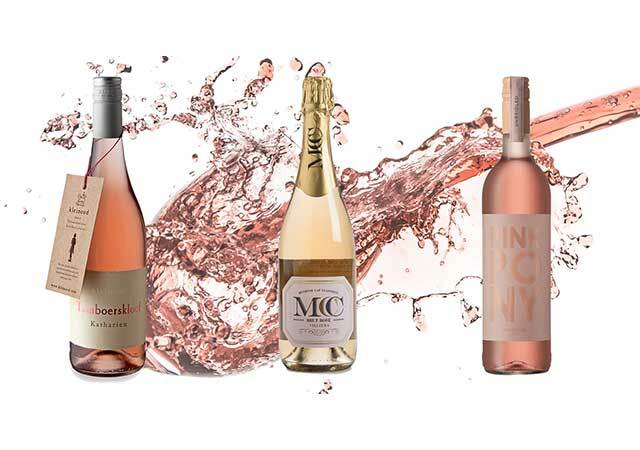 It’s a sensitivity that extends to their winemaking with winemaker, Luke O’Cuinneagain, aiming to keep things as natural as possible, with only wild yeast fermentation and no acidification. 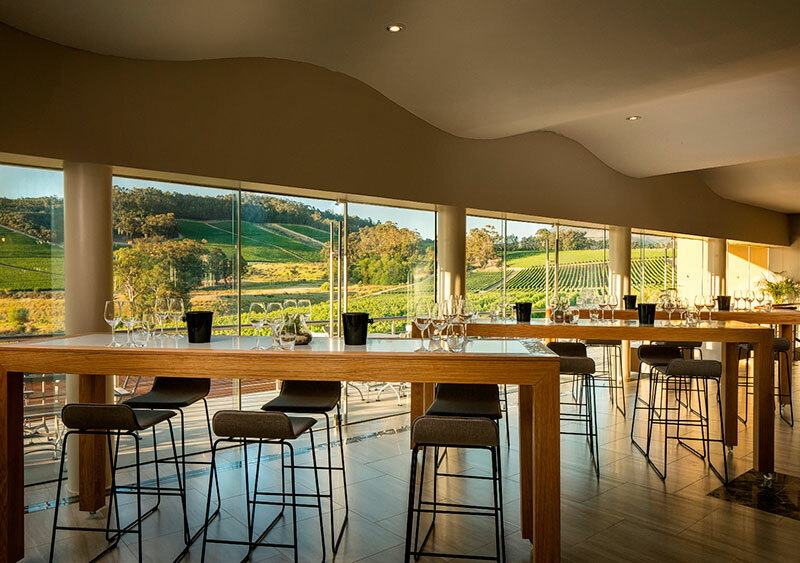 We started our visit sipping some lovely Glass Collection Chardonnay in their elegant yet welcoming tasting centre overlooking the vineyards. Downstairs from the tasting centre you’ll find the glass museum. May de Lencquesaing has had a lifelong passion for glass and her collection is one of the finest in private hands in the world. 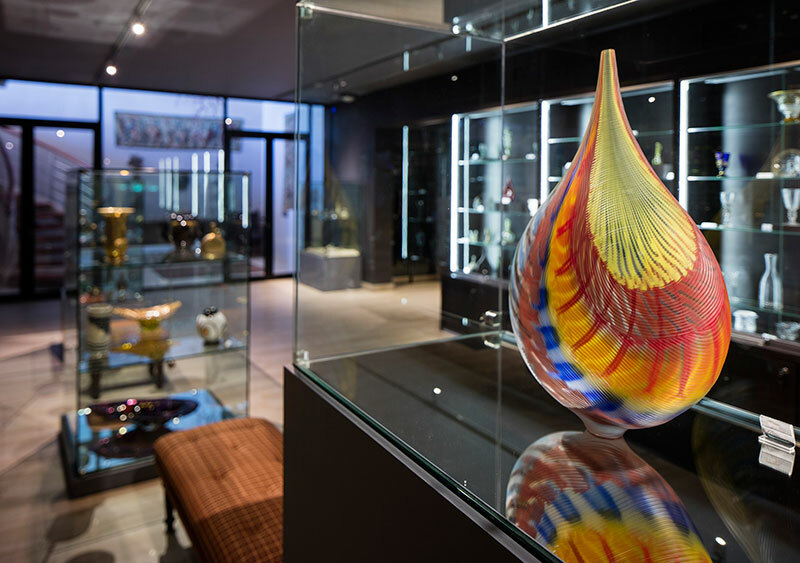 From 1st century pieces to 21st century, the collection is a stupendous showcase of the art of glass and a must-see when you visit Glenelly. 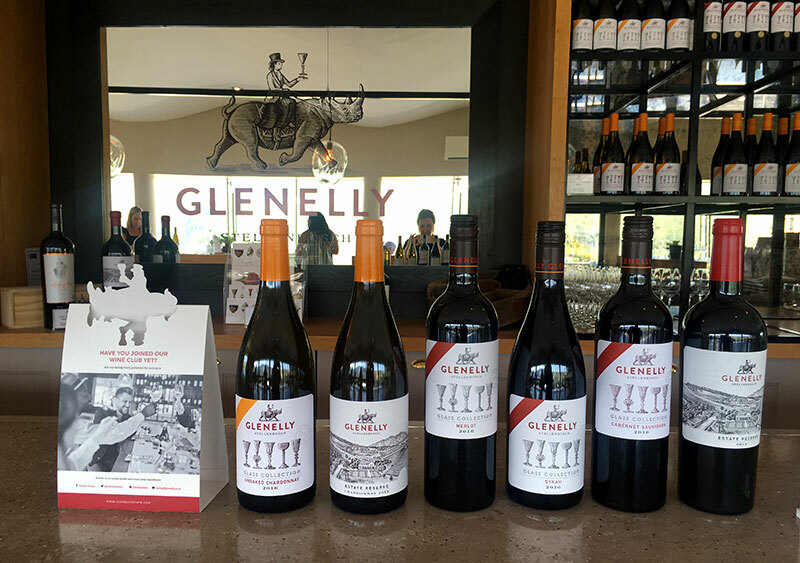 Next up was a visit to their cellar, where May de Lencquesaing’s grandson and Glenelly’s export director, Nicholas Bureau, popped the cork on the new-release 2013 Glenelly Estate Reserve as well as two earlier vintages. 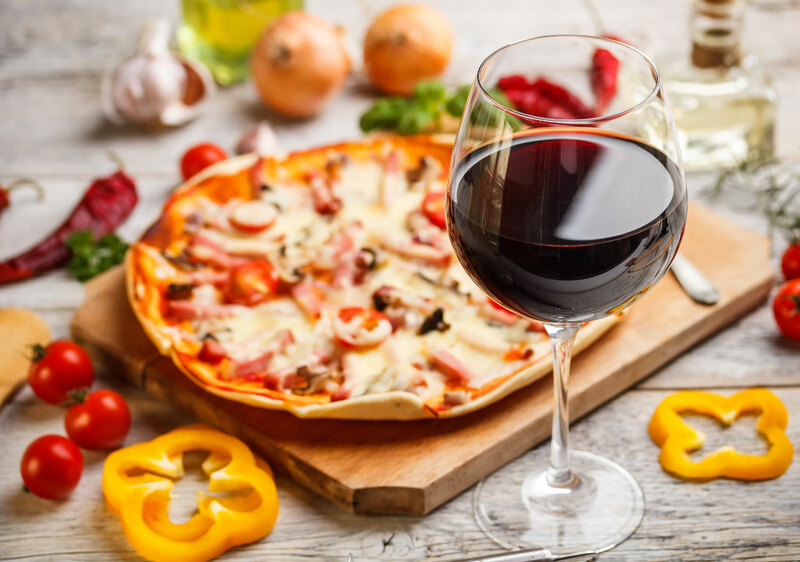 It’s the signature blend of the estate and harks back to the Claret style of days gone by because in addition to the traditional varieties that make up a Bordeaux blend, Syrah (Shiraz) is also added to the blend. It was such a privilege getting to taste three vintages of this exceptionally elegant wine, even more so in a tasting led by Nicholas and winemaker Luke. 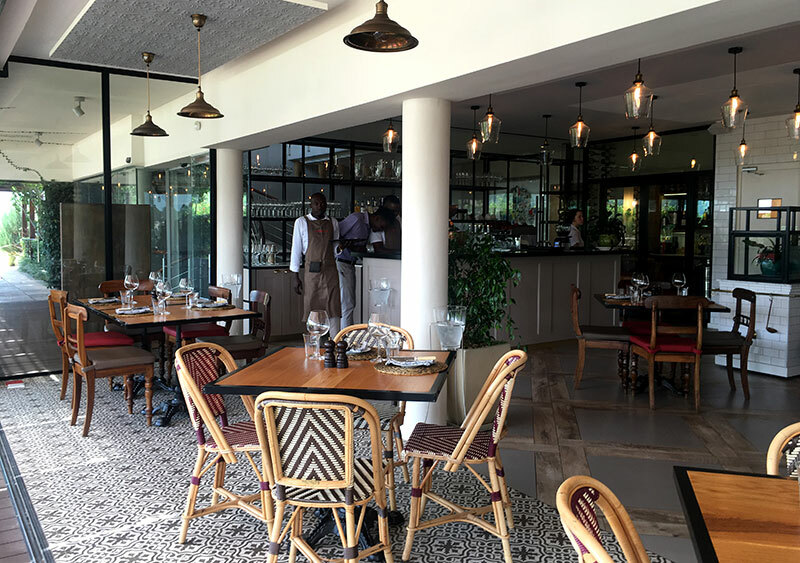 Then it was on to lunch at the Vine Bistro where chef, Cristophe Dehosse, treated us to a French-inspired 3-course meal. It started with quail, moved on to melt-in-the-mouth beef and ended with cheese. It’s fine dining, bistro-style and such a joy. The menu constantly changes, making the most of seasonal and local produce. Now I always get annoyed when foodies write about experiences they’ve had that readers cannot replicate. Because really, what’s the point in that? But in this case of course you can. 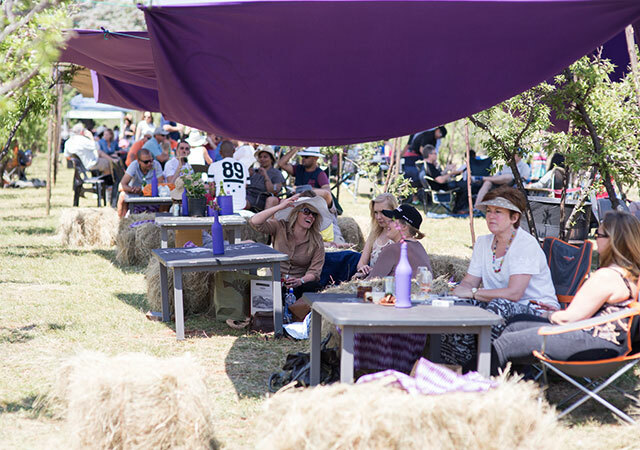 Pop into Glenelly for a tasting, visit the glass museum and get your French vibe on by playing some petanque. End your day there by enjoying a cheese platter outside on the terrace, or a lovely meal at the Vine Bistro. 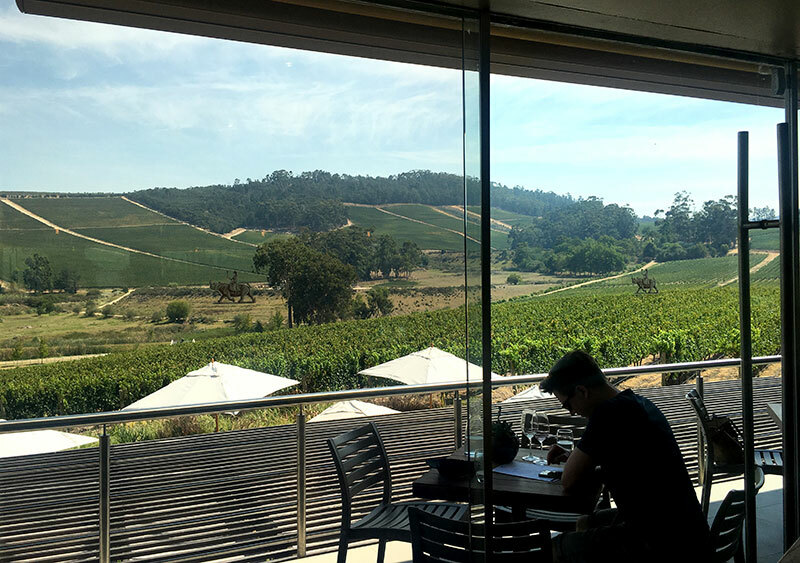 The views are stupendous, the wines very, very fine and the food seriously soul-pleasing French-inspired fare. 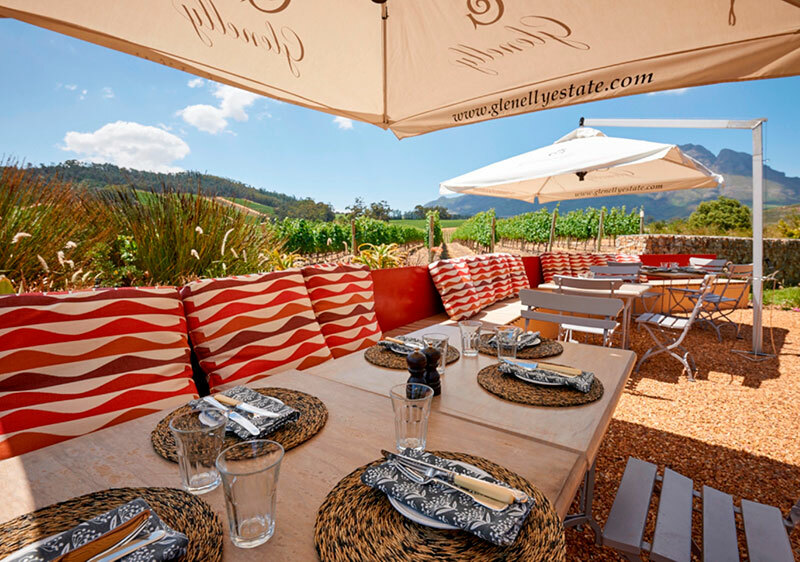 Do visit this Stellenbosch gem, you won’t be disappointed. Glenelly’s tasting centre and glass museum are open Tuesday to Saturday 10am to 5pm and Sunday 10am to 3pm. The Vine Bistro is open Tuesday to Sunday for lunch from 12pm, and Thursday to Saturday for dinner from 6:30pm. Celebrating glass: Glass is a big deal at Glenelly. 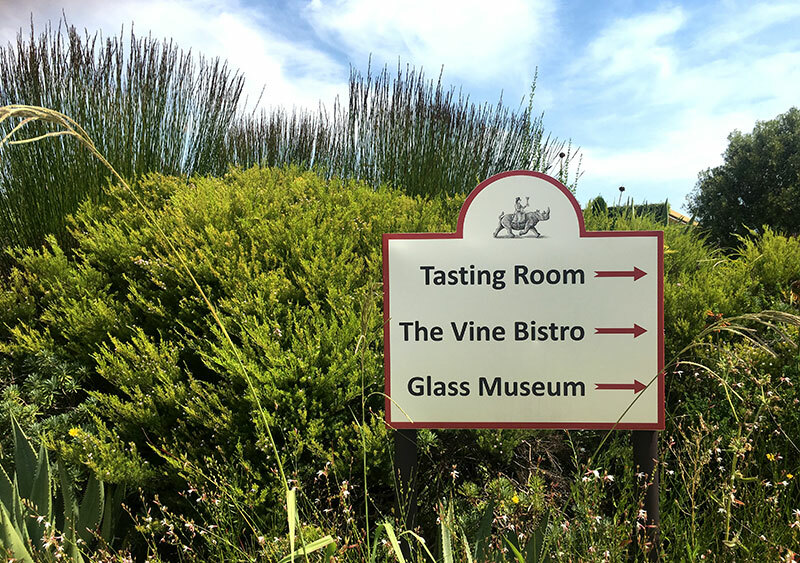 Take time out from tasting their Glass Collection wines to pop downstairs and visit the Glenelly glass museum. 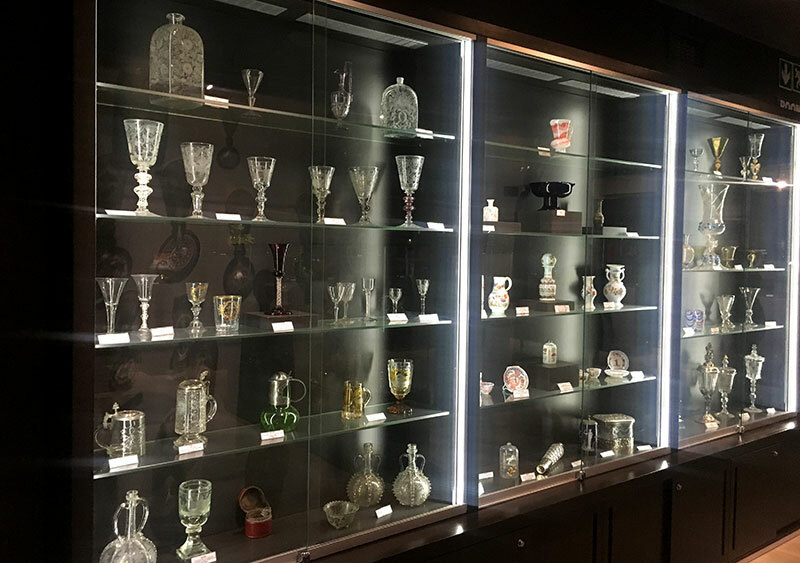 From Lalique, to modern Venetian pieces to pieces dating back many centuries, it’s arguably the best glass collection in the country. 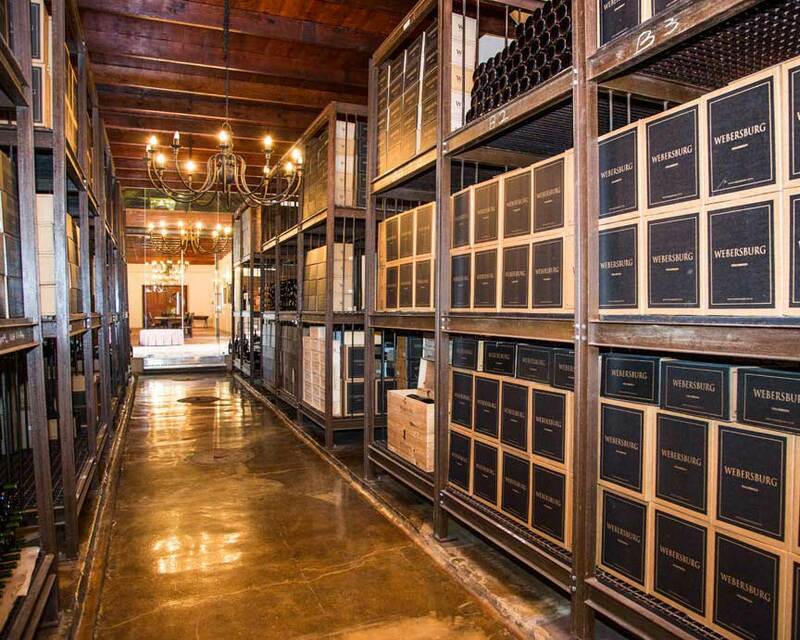 A corridor just off the glass museum leads to their cellar where the entire front wall consists of glass, revealing the town of Stellenbosch practically on their doorstep.